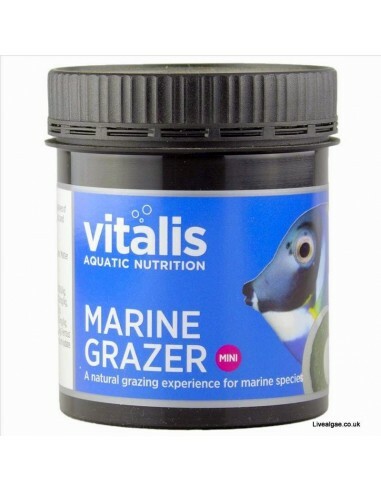 Vitalis Marine Grazer Mini 110g (formally known as New Era) is a great way to feed your marine fishes that like to graze and to watch them in a new way. It will be kept in place with the included suction fixing for less waste and improved water quality. 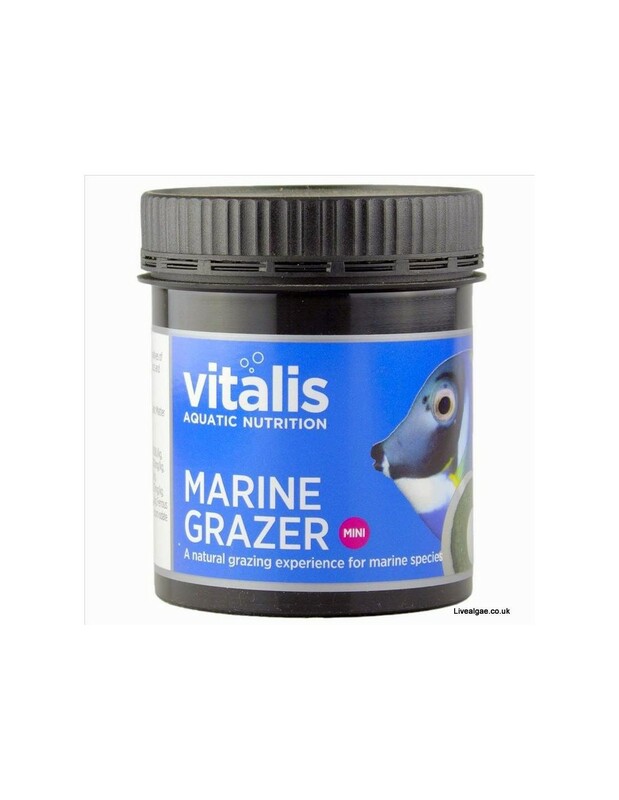 A great natural food source for marine herbivore fishes like Angelfish, Foxface and Tang species.